The MSDH School Health Program works to make all Mississippi children healthy, ready to learn, and prepared to make lifelong healthy choices through the Whole School, Whole Community, Whole Child approach. Guidelines for school administrators and teachers on the safe return of children to school following certain communicable diseases and conditions. Health Education: for teaching children about the wide range of factors that influence their health, and how to make lifelong healthy choices. Physical Education: for building strong and capable adults who understand the importance of continued physical activity throughout life. Health Services: for providing a clean and safe school, emergency care for students, illness prevention, and education on primary health care throughout life. Nutrition Services: for ensuring healthy meals for all students and all needs, and education on nutrition at home and in the community, from farm to market. Counseling, Psychological, and Social Services: for maintaining mental, emotional and social health. Healthy and Safe Physical Environment: to create comfortable surroundings that support learning and good health. Healthy and Safe Social Environment: for the emotional well-being of every student. 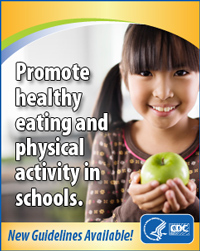 Health Promotion for Staff: for fostering positive attitudes toward health in teachers and school workers so that they become role models for students. Community Involvement: so that schools can accomplish more in education and health, and communities can learn more about leading a healthy life. Family Engagement: because learning does not end at school, and because the most important influences on a student can be parents. 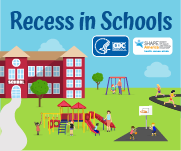 MSDH works in cooperation with the Mississippi Department of Education's Office of Healthy Schools and the Centers for Disease Control and Prevention's Healthy Youth Division to meet the goals of coordinated school health. According to a new Pew poll, 8 in 10 Mississippians support high standards for healthy food in schools, with vegetables at every meal and lower salt in foods. In many communities, schools offer a variety of recreational facilities — from playgrounds to gymnasiums — where safe places to play and exercise might not otherwise exist. Joint use agreements create a partnership between schools and residents in a community to share spaces such as playgrounds, athletic fields, pools, and gymnasiums outside of school hours. They can also be used to make community facilities available to schools. Joint use lets costs and responsibilities be shared, while increasing the opportunities for physical activity for everyone involved. The SHI is an easy-to-use, confidential assessment and planning tool that schools can use to improve their health and safety policies and programs. A tool to help schools analyze and improve their health education curricula, based on national standards. A customizable tool based on local and national standards to help schools analyze and develop their written physical education curricula. Fact sheet on the benefits of breastfeeding, and how schools can accommodate it.